Beautiful girl's Greek martyrika for Orthodox baptism, with Minnie Mouse in a metal frame. 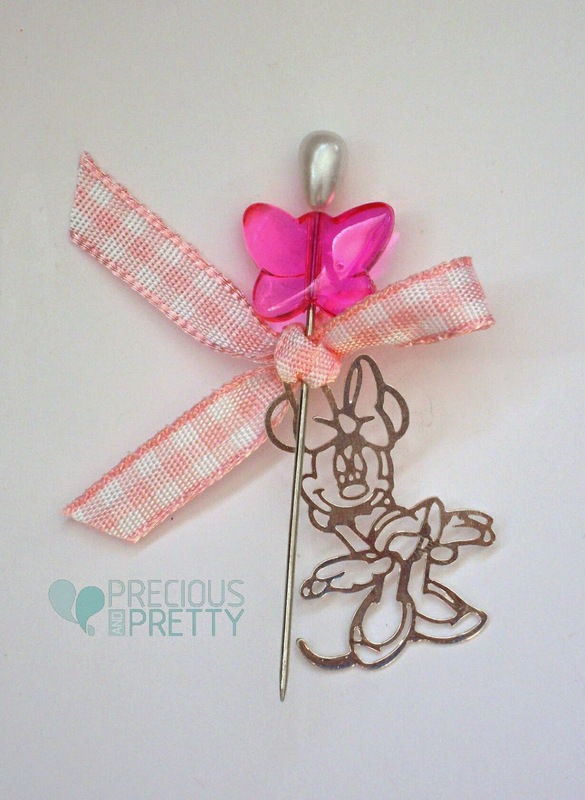 They tied with pink plaid ribbon on a decorative brooch with white pearl, with metal cross and a fuchsia butterfly. The colors can br changed upon request. https://www.preciousandpretty.com/2017/02/minnie-mouse-greek-baptism-witness-pins-M15.html Greek Wedding Favors|Orthodox Crowns|Stefana|Baptism Invitations Minnie Mouse Greek baptism witness pins M15 Minnie mouse baptism witness pins for girl. Product #: Greek Wedding Favors|Orthodox Crowns|Stefana|Baptism Invitations_2021713656038960300 5 stars out of 5 reviews.